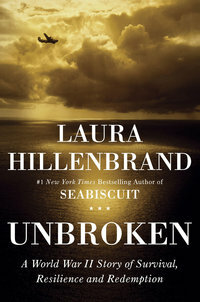 Last night I saw an early screening of Unbroken The movie is based on Laura Hillenbrand’s 2010 book, Unbroken, A World War II Story of Survival, Resilience and Redemption, which is a biography of Louis Zamperini. I was enthralled with the book; the movie left me disappointed. 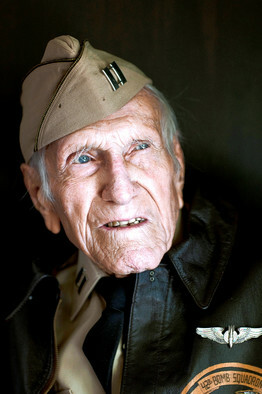 Louis Zamperini’s life (he died July, 2014) is worthy of a Hollywood movie. There are at least four parts to his story: Olympic runner, sea survivalist, prisoner-or-war, and redeemed hero. The movie focuses on the middle two parts, briefly tells the first with flashbacks, but ignores the story of his redemption. Born in 1917 Louis was the son of Italian immigrants and bullied as a child since his family spoke no English. His older brother got him involved in track as a way to keep him from trouble and Louie excelled. He set the national high school record in the mile in 1934 and was the youngest American Olympic competitor ever in the 5000 meters during the Berlin Olympics in 1936. Though finishing with a huge kick on the final lap, Louis placed eighth. As stated in the movie his bigger goal was to run and medal in the 1940 Tokyo Olympics. The second and third part of Louis’ story centered on his war experiences as a bombardier in the Pacific. Here the movie shines, opening with amazing flying scenes of a B-24 in combat. Louis’ plane later crashed and the story morphs into a sea survival story of 47 days, a record. We see Louis’ indomitable spirit as well as his desperate cry for God’s help. The movie morphs again when Louis’ is captured by the Japanese and held in various prisoner-of-war camps. A particularly brutal guard (nicknamed “The Bird”) tormented Louis in vicious ways. The climax of the movie is a confrontation between Louis and “The Bird” that whole camp stops to watch. In a contest of wills, Louie wins. Shortly afterwards the war ends and Louie returns home. Here is where the movie utterly fails. The movie gives only a couple of postscript descriptions of Zamperini’s life, stating that he suffered from post-traumatic stress disorder and had a faith conversion that helped him to forgive. Such a brief treatment is totally inadequate. By his own admission, his heroic life crumbled when he returned home. His dream of Olympic glory had been crushed and he was plagued by nightmares. He became a bitter alcoholic. Here was the true climax in Louis’ life. As described in Hillenbrand’s biography, he attended an early Billy Graham crusade in 1949 and had a Christian conversion. That transformed his life, both his past and future. His new trust in Jesus is a critical lens for understanding his life and the Coen brothers’ script glosses over it. I received the tickets for the advance viewing from Grace Hill Media. They are a PR and marketing firm originally “established to reach an enormous and underserved population – religious America.” They were reaching out to pastors in hope we would use video clips and sermon outlines that Grace Hill Media provided as a way to promote the movie. After reading the book I can see why they thought that pastors might be good candidates for the movie. Unfortunately I cannot recommend it since the movie Unbroken has broken ending. 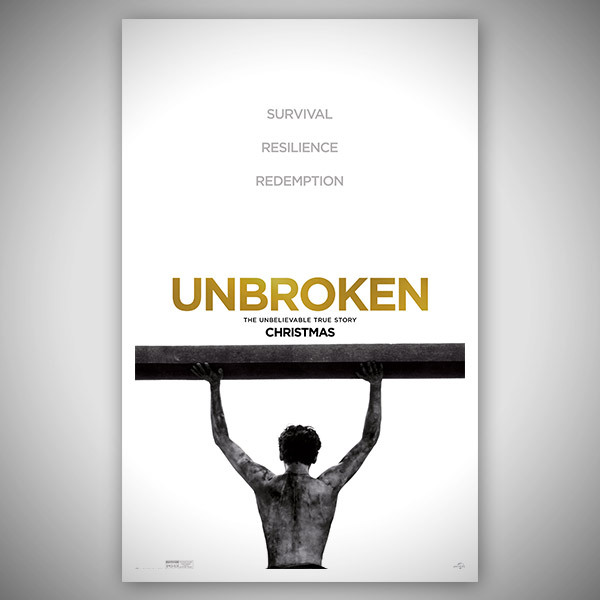 This entry was posted in Uncategorized and tagged Louis Zamperini, Unbroken, Unbroken book, Unbroken movie on December 10, 2014 by Pastor John Keller. So sorry to hear this, I’ve been looking forward to the movie. Saw a special last night with Tom Brokaw and Angelia Jolie (the movie’s director) and it made me anticipate it even more. I’m sure I’ll still see it, but sorry to hear you were so disappointed. Kathy, it reminded me of a time in college when we had a Gosspel Music choir from a local African-American church give an annual concert. Everyone enjoyed the music but some thought there should be no “preaching” between songs. They didn’t understand that without the “preaching” the music lost much of its power. The same is true with Unbroken, without telling the redemption side of Zampernini’s story, it loses much of its power. Hollywood typically does not seek to glorify God or the power of the life transformed by faith in Christ. Most biographical drama will skip the part where a protagonist has been saved by grace and finds hope in Jesus. Such is the hatred of the world against God and His people. We know what to expect, and we must expect rejection, as Jesus declared in His word. But our hope lies in setting our affections above and living by the word of God, not by the aspirations of Hollywood, which does the work of Satan. John, thank you for responding. I agree that Hollywood rarely glorifies God, but I don’t think Hollywood is so monolithic and unified as you describe. There are several mainstream movies that have born witness to the grace of God. One of my favorites is Tender Mercies.